The unbelievably bad wet weather has continued, bees are at a standstill, some colonies that have swarmed have failed to requeen successfully, 3 are like that at the club apiary. If you took any spring honey, that may be your lot for 2012, the bees are consuming whatever they are bringing in. The long range weather forecast brings no comfort. I am thinking now about trying to make sure colonies will be strong enough to overwinter, depressing thoughts in July but the bee season is very short! Small colonies or nucs should be united with more successful ones, choose the best queen to head it up. Small colonies are vulnerable to wasps in August, reduce the entrances if they are seen hanging around. Make wasp traps from a teaspoon of jam and some water – NOT honey - mixed in a jam jar with wasp sized holes punched in the lid. Hang in a nearby tree or place near hives. They will happily drown themselves. Jan Cross, Examinations Secretary, wants to remind beekeepers of the Basic Exam. It is purely practical and oral, usually at our apiary, and you learn a lot during the sessions, particularly those who have never been on a course [and there are some]. Mary Hill will be teaching the course in the spring, so let Jan know if 2013 is to be your year. It’s an important first step. I am still hoping that someone will come forward to man a stall at this local occasion, I am away that weekend. It involves chatting to the public about bees; believe me you will know more than they do! DDBKA has a banner, large photos, leaflets etc to borrow. You would be free to sell your honey and bee products. Please let me know if interested. Anyone with an interest in honeybees and beekeeping is invited to enter a photographic competition run by Vita (Europe) Ltd. The entries will also be added to the hundreds of honeybee-related photos in the free, online Vita Gallery (www.vita-europe.com/gallery) which is proving an invaluable resource for anyone anywhere in the world wanting to spread the word about beekeeping. Entrants can submit up to four photos (up to 1mb each) relating to honeybees or beekeeping by emailing them to info@vita-europe.com. 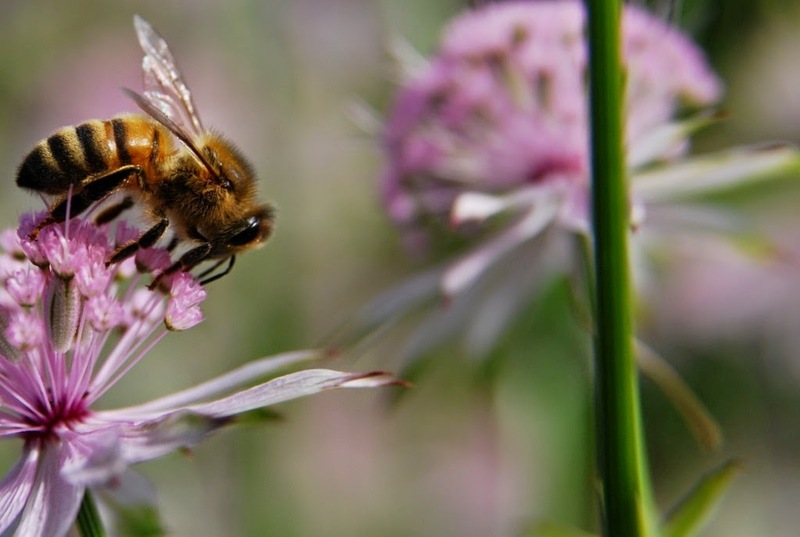 Photos can be on any relevant topic: from honeybee behaviour, to beekeeping practices, foraging honeybees and honeybee produce. The deadline for entries is 1 November 2012. The winner of the competition will receive a €50 cash prize, plus Vita anti-varroa products for 10 colonies. There is also a special prize for the winner of the under-16s category. Calendars will also be sent to anyone whose picture is featured. All your own work obviously!